Accurately named for its bold fabric shade, the new Banks Primary Boardshorts were designed to add a pop of color this summer. The shorts are made with the brand's classic high-quality swim material the ensures long-lasting color as well as comfort and style. The four-way stretch shorts also use a recycled polyester that makes them both eco-friendly and durable to last for years. 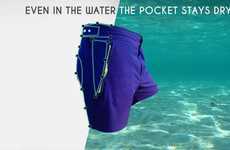 The simple design allows consumers to wear the board shorts all day and be easily styled into any outfit. The lightweight feel is quick-drying for easy transition from any water sport to everyday wear. 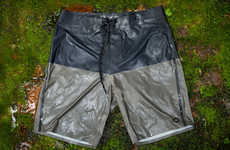 The new Banks Primary Boardshorts are available online through Bespoke Post for $60.00 a pair.